Sensor systems ensure safety and play a key role in the automation of our world, but they’re needed for more than just reliably collecting and releasing data. The market’s demands on a sensor system’s efficiency are increasing rapidly, which means individual sensors are becoming more complex. 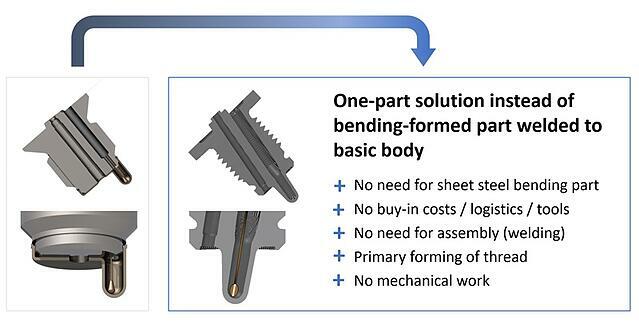 As space decreases and geometric requirements tighten, the choice of processes that can handle the manufacturing of these demanding components is reducing. 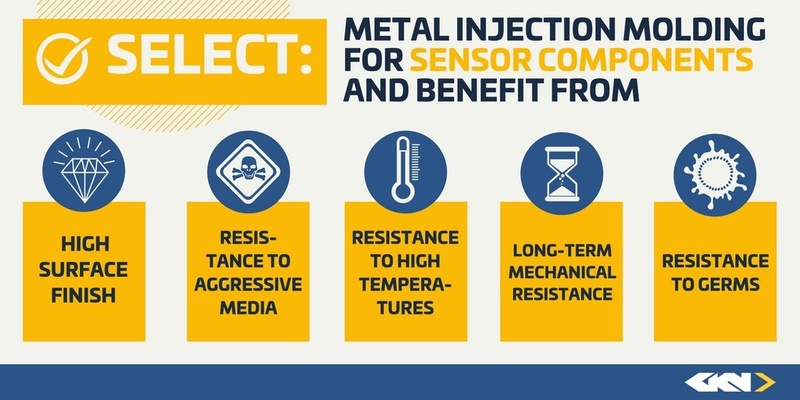 The metal injection molding (MIM) process provides manufacturing flexibility for sophisticated sensor housings and components. But how does MIM differ from alternative processes, and what applications can strive from this technology? MIM is an innovative technology for creative engineering solutions. By delivering the three-dimensional shape capability of plastic injection moulding combined with the performance of alloy steels, stainless steels and high temperature alloys, MIM can help to solve extreme product challenges. 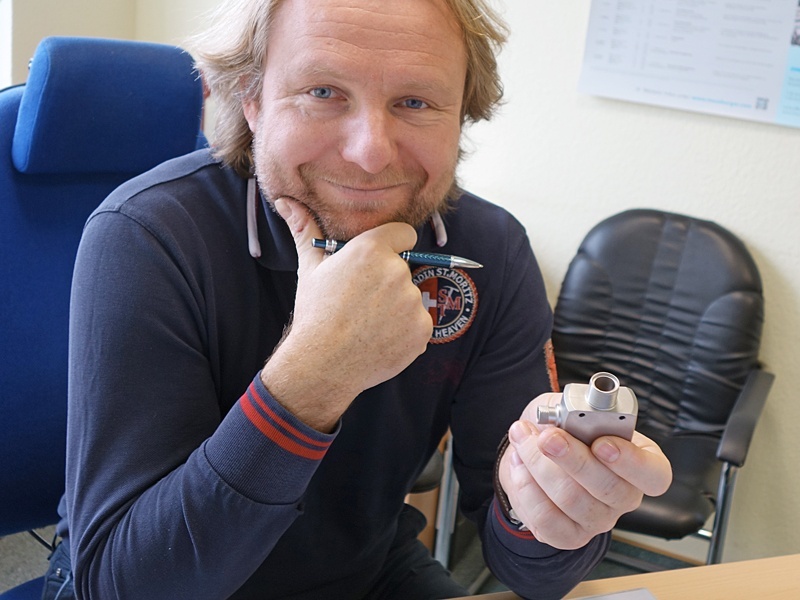 We sat down and discussed sensor system solutions with Christoph Adler, MIM Sales Manager at GKN Sinter Metals, who has more than ten years of experience in metal powder injection molding. Christoph, you’ve brought this threaded fitting for us to see – what is it and where is it used? The threaded fitting is part of the pressure-temperature sensor: a sensor housing made of stainless steel to record temperature and pressure data. This component is fixed directly to the measurement point by its thread. It measures both the temperature of the coolant and the temperature of the exhaust gases, along with pressure in the fuel system in common-rail injection systems. You will find this pressure-temperature sensor in various areas of a vehicle, including the fuel supply and the air-con system. This sensor is required to be completely leakproof and to effectively respond in tight spaces. The threaded fitting is a complex, micro-precision component with a particularly delicate design.It weighs only 15 grams. 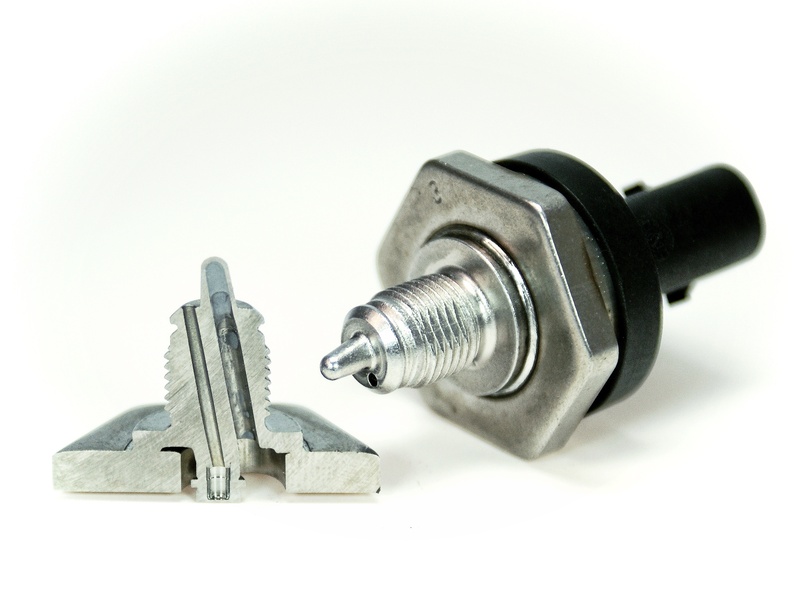 Aside from vehicle applications, where else can pressure-temperature sensors be used? These are universal sensors. They can be used anywhere where pressure and temperature need to be measured – this includes any type of hydraulic system where temperature and pressure must be measured accurately. The threaded fitting is the first pressure-temperature sensor to be produced in MIM. Where did the customer see a challenge and GKN saw a solution? There were two criteria that were necessary: the wall thickness and the design. The delicate design with narrow drill holes and a thin wall thickness in the sensor demanded a sophisticated tooling concept for required quality and permanent seal. Together with our customers we put together a specific solution: simulation calculations and assessments of filling behavior lead to an optimised design. We also placed particular emphasis on the interface to adjacent components in the process to meet customer requirements. We provided a very thin housing wall of only 0.4 mm between the medium to be measured (the coolant) and the sensor to guarantee optimum responsiveness by the sensor. The thinner the wall, the more accurately the results are measured - as there is minimum material between the medium and the sensor. Why was MIM chosen for this process? In alternative manufacturing processes, this design was difficult to recreate as a single part because the application requires a two-part design with laborious assembly. Alternative mechanical processes were time-consuming and expensive, and other primary shaping processes did not achieve the required surface quality or level of precision. MIM is therefore ideal for this component. The surfaces meet the design requirements and can be mapped by the forming die. Efficient tool maintenance guarantees an accurate contour and sufficent quality required by the customer. What other sensor applications can benefit from the MIM process? MIM is already suitable for challenging sensor systems in automotive and industrial applications, particularly if stainless steel is being used. Sensor housing and components made of stainless steel are sterile and have high resistance to chemicals and other aggressive media. The stainless steel alloys we use are unaffected by these aggressive environments. Because of this, I see a great future potential for new sensor applications in MIM in the food and chemical industries. What processes compete directly with MIM, particularly in sensor applications? There are a few competing processes, such as precision casting and aluminium pressure die-casting. But delicate internal geometries can only be mapped to a limited extent in precision casting, and components manufactured in aluminum pressure die-casting are not as strong or corrosion-resistant. Sensor applications can, however, also be created mechanically or in plastic. The down fall? Milling the components is time-consuming and expensive: large quantities cannot be manufactured economically. Also, plastic is not very resistant and may be unsuitable for applications in the food industry. From your personal experience, what do customers appreciate most about working with GKN? I think customers appreciate the high degree of automation in our production, which permits millions of high-precision parts to be manufactured. We also have the ability to develop and perfect the design of these jointly with our customers. And also this fact: 0 ppm and 100% reliability, with the maximum sealing requirements fulfilled, are our priority. This is why GKN has developed a special measurement process to analyse leak-tightness, the helium leakage test. 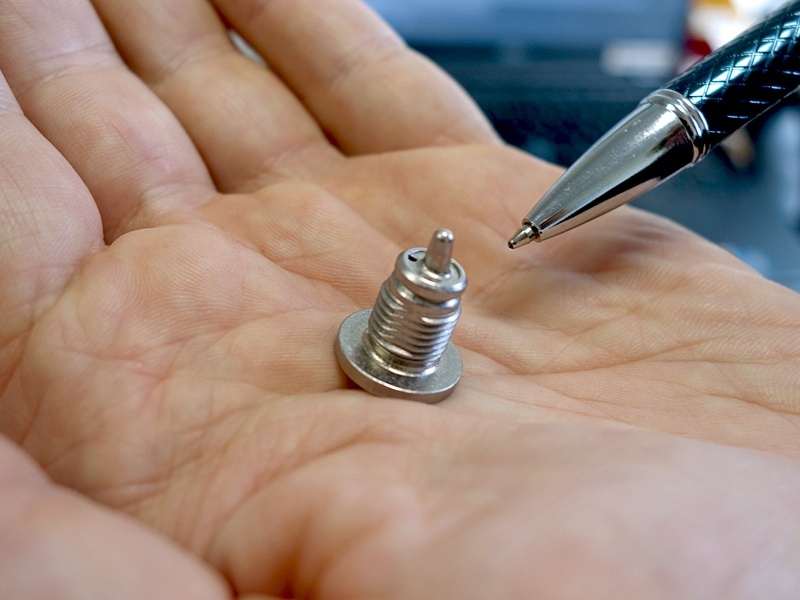 All threaded parts are 100 percent inspected with this procedure. Helium gas is fed into the test equipment, and we measure whether helium leaks out from the part.